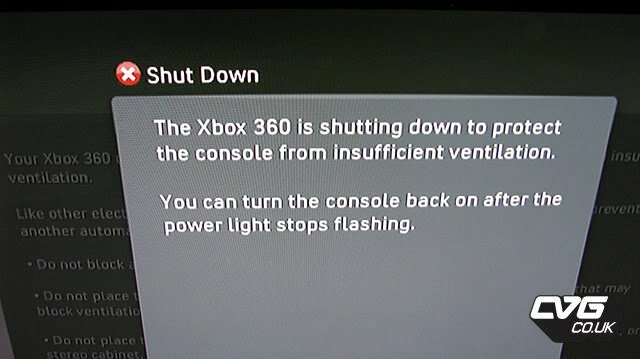 A new feature built in to the XBOX 360 slim is the feature that like a computer, it will auto shut down during a heat up of the component, except before shutting down it will display an error message saying “shutting down due to insufficient ventilation, and may be powered back on when power light stops flashing. I guess this is what the “red dot of death” represents after all. The red dot of death isn’t a sign of a hardware failure after all, well not permanent at least. I would consider this a great measure although a warning beep from the console would be much better. I may not know how this message pops up but I am going to take a shot in the dark here and say it will pop up as soon as it detects a over heat. I applaud Microsoft for making such a great counter measure against such an old error, I guess the days of hardware failures and red rings are behind us now and hope fully we can play the XBOX 360 as long as we wish provided we give sufficient cooling. Let’s wait and see whether Microsoft has any more surprises packed for us once these units go global or will this thing actually be problem free?